Carly Garner is the founding Director and teacher at Natureweavers Forest School in Noosa on the Sunshine Coast. A forest-dwelling being, Carly spends her days wandering in and wondering about the wildspaces around her, following the lead of the children she is with at the time, exploring the exchange between the children and the forest. Carly is a qualified nature pedagogue and member of the International Association for Nature Pedagogy. She works directly with children and families through the range of Natureweavers programs, as well as professionally developing educators, teachers and those who live, work and play with children in practical and theoretical approaches of learning in, with and from nature. Carly is the one showing teachers how to light fires and use real tools in childcare centers; advocating for the sustainable use of natural resources in increasingly popular nature play programs, and providing practical support to enable educators and parents to let go of the need to control their children’s play and learning experiences and allow them to access their innate wild child! 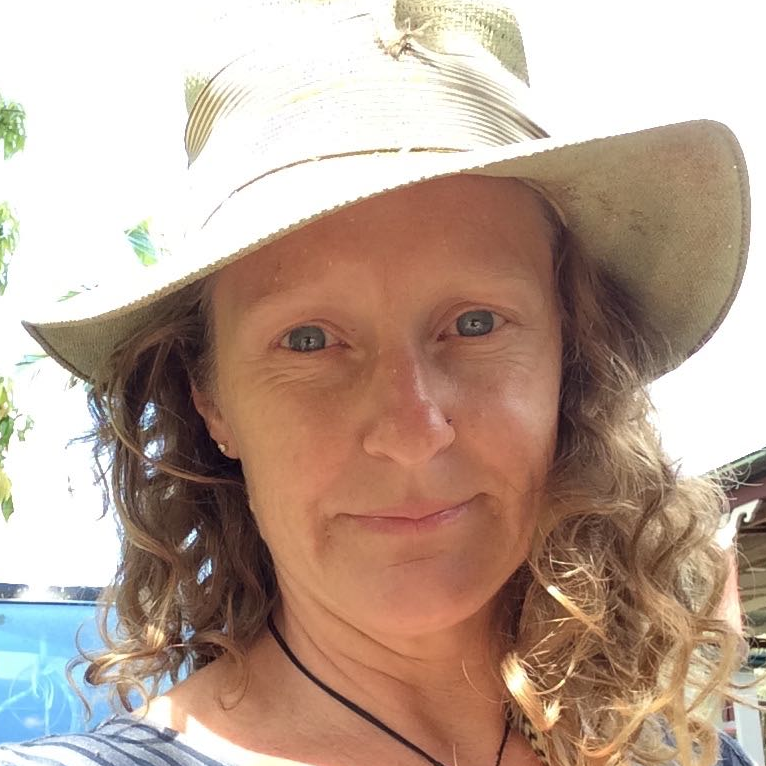 She is a Claire Warden Associate Trainer, a Nature Play Qld Activity Provider, member of the Australian Association of Environmental Educators, and advisor to the Forest School Learning Initiative for their Australian based Forest School Leader training. Carly is an environmental advocate with 17 years experience in the non-government, community and education sectors. She worked for Oxfam Australia in their International Emergencies Department, contributing to the re-establishment of sustainable communities in East Timor, Sri Lanka, Indonesia and the Pacific Islands. Later she managed the development and implementation of the Oxfam Australia Environmental Sustainability Plan, which directed and inspired the agency towards environmental sustainability in its operations, programs and advocacy. After spending many years trying to convince adults of the need for and the ways to orient themselves towards more environmentally sustainable ways of working and living, Carly was weary and frustrated. She had two children, and was conscious of the foundational empathy her children, and their tiny pals, had with the natural world – they were natural born protectors; in contrast to the adults she was working with at the time, who seemed to find it difficult to recycle their newspaper, print on both sides, or put their coffee grounds in the right bucket. This intrigued her, and she set out to explore the continuum of earth stewardship behavior between childhood and adulthood. This, coupled with some timely conversations with various enablers and innovators in the world of education, environment, human development and sustainability, resulted in the development of Natureweavers. Carly is (still!) currently studying a Masters of Education, with her research interest in how early childhood nature play transforms into earth stewardship behaviour into adulthood. In all of this work, Carly is supported holistically by her life partner, Cam, and their 2 children, James (11) and Alice (10) who also share time, space and skills with Natureweavers children and families.